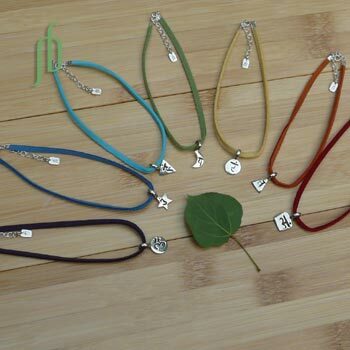 A set of seven chakra anklets, one for each chakra. 1 cm chakra charms dangle delicately on a vegetarian microfiber suede anklet with clasp. Anklet is adjustable from 9-10" (22-25 cm). 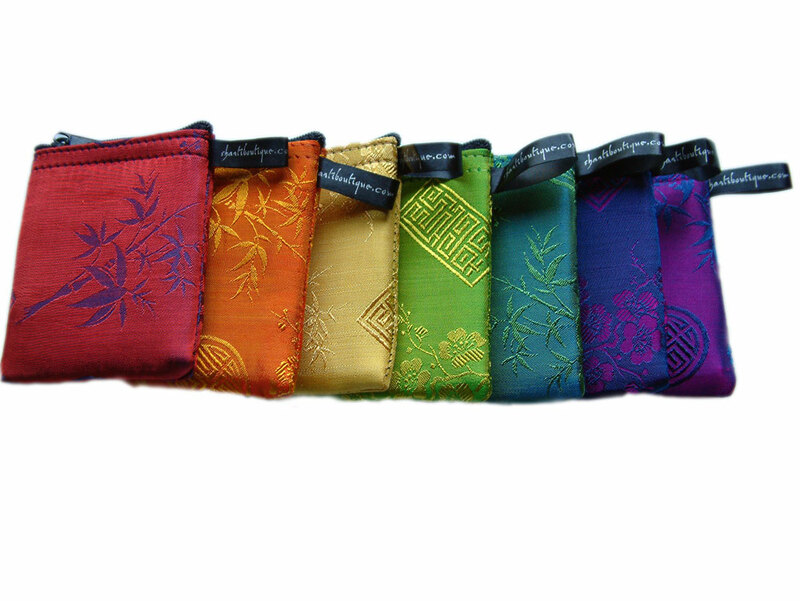 Comes with FREE set of z111s Chakra zip purse small. 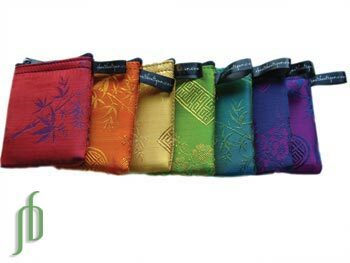 A set of 7 chakra necklaces and 7 chakra anklets, plus you get 2 sets of Good Wishes Chakra cards (cc700), a set of Chakra Zip Purses Large (z110s) and a set of Chakra Zip Purses Small (z111s) FREE, valued at $64! 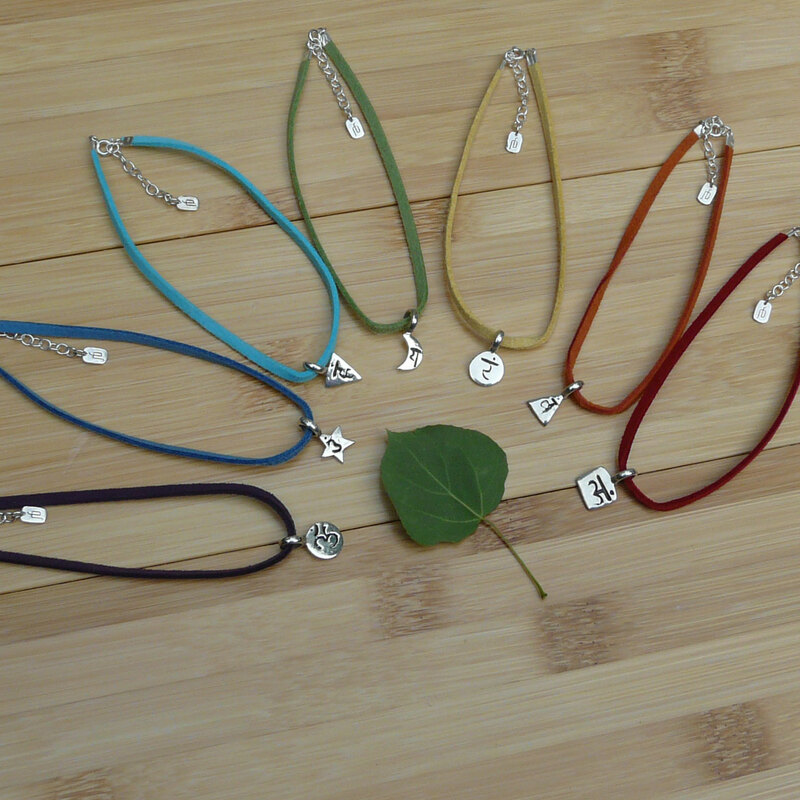 Chakra charms with ultrasuede necklaces (vegetarian, not pre-assembled). You can use these as chakra necklaces, chakra bracelets or chakra anklets.